By now they were a frequent attraction on T.V. and in the ballrooms and theatres of both Uruguay and Argentina. Their debut album had been issued in most South American countries and they followed this with a series of singles such as Sólo En Tus Ojos, Paren El Juego and Quienes Por Favor. Their Break It All album, which came out in 1966, wasn't released in Argentina, but instead in the U.S.A., Australia and other English-speaking countries. Technically it was impeccable, with stereo sound of a high quality. It contained songs from the first album and some singles, better recorded and edited. Their next album, For You, was a decided progression on the earlier releases. The bossa nova-based cut Nunca Nunca became a massive hit in Brazil and it introduced new musical genres, such as the Eastern-influenced Espero Que Les Guste 042. As well as containing songs closer to Rubber Soul and Revolver, it also demonstrated influences of other British and American bands. The guitar solos are more elaborate than before. The final cut, I Hope You Like It, is to Shakers For You what Tomorrow Never Knows is to Revolver, a bizarre melody with backwards tapes, crushing rhythms and experimentation. It marked a significant breakthrough for Uruguayan rock in this era. They followed this with further singles, Ne Molestar and the percussion-dominated Adorable Lola. In 1967, they relocated to Venezuela, where they re-recorded many of their old songs in stereo, as well as cutting some new material for a U.S. album. The resulting project, which came out on a small label, flopped. 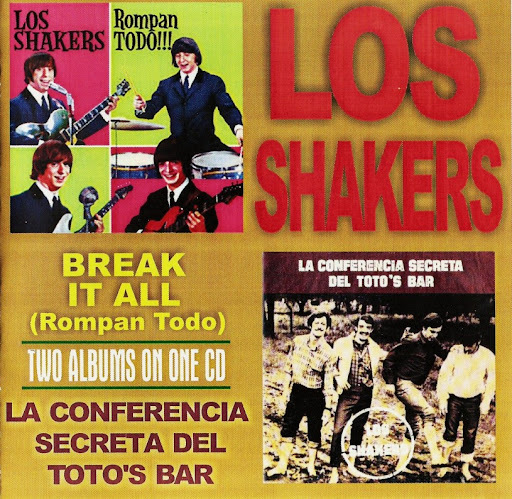 Despite this set back, they returned in 1968 with their magnum opus, La Conferencia Sectreta Del Toto's Bar (The Secret Conference At The Toto's Bar). This is generally considered to be one of the best albums to come out of South America in this era, blending beat, psychedelia, jazz, candombe and even tango. Its finest cuts include Siempre Tu, Candombe and Mãs Largo Que El Ciruela. Sadly, by now the group were at odds with the record company who wanted them to include more commercial material. This delayed the release of the album and, when it finally appeared, they had already decided to split up. The Fatorusso brothers relocated to the U.S.A, initially playing with Brazilian Airto Moreira (and appearing on his album Fingers). Later, they teamed up with Uruguayan Ringo Thielmann in Opa, a sorta latin-jazz-rock candombe combo, who cut two albums for Milestone, Goldenwings (1976) and Magic Time (1977).